Synonyms: Sicydium lindheimeri, A. Gray 1850. Bryonia abyssinica Goualt. 1853. Sicydium tenellum Naudin 1862. Sicydium tripartitum Naudin 1862. Maximowiczia lindheimeri, Célestin Alfred Cogniaux 1881. Maximowiczia tripartita, Cogn. 1881. Ibervillea tripartita, Green 1895. Ibervillea tenella, Small 1903. Photo by Deena Decker-Walters. This member of the Cucurbitaceae family was given this name by Edward Lee Greene in 1895. 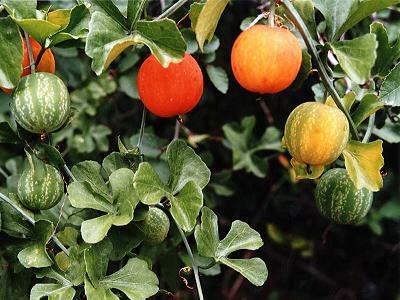 It is found in Mexico and south-western U.S.A., growing in in busk land with a well drained soil with some water and some sun. 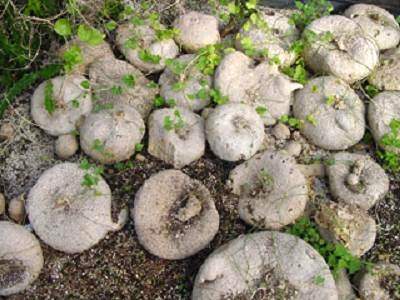 The caudex can grow up to 40 centimetres in diameter, the vines will reach three meters. The flowers are yellow and greenish. It is named after the Texan Ferdinand Jacob Lindheimer (1801-1879). Photo by Rolling Thunder Nursery.